This is the first time I’ve created a recipe completely from scratch. I dreamed this up in my head, and started throwing things together until it came out right….and dang, I did well. These are REALLLLY good. Try them, and let me know how the recipe could be improved!! Bake the cups at 350 degrees for about 12 minutes, or until they are golden brown. In a stand mixer fitted with the whisk attachment, combine the cream cheese, butter, and sugar. Beat until well combined. Add the eggs one at a time and beat to combine. Add the cinnamon, and mix well. 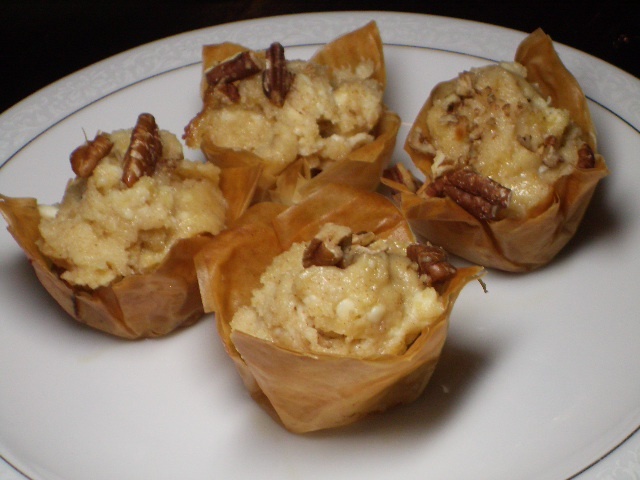 Once the cups are out of the oven, lay a few pecan pieces in the bottom of each cup. Then, using a teaspoon measure, scoop small balls of the cheesecake mixture into the cups. Drizzle each with a pea-sized amount of honey. 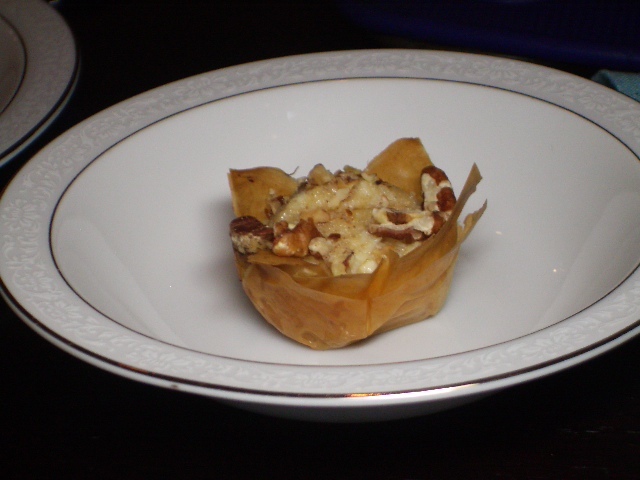 It will melt on top…then top each cup with a few chopped pecans, using the rest of your pecans. Serve warm, room temperature, or cold. These will keep for about 24 hours in the fridge. Congratulations on your first original recipe! It looks AMAZING! Can’t wait to make it!